Nordic Naturals is kicking off a fall initiative to benefit a very special cause. The campaign—“Buy One Bottle. Help Two Heroes.”—will raise awareness and support for Paws for Veterans, a nonprofit organization that helps rebuild the lives of combat-wounded veterans, while also rescuing shelter dogs that would otherwise face euthanasia. 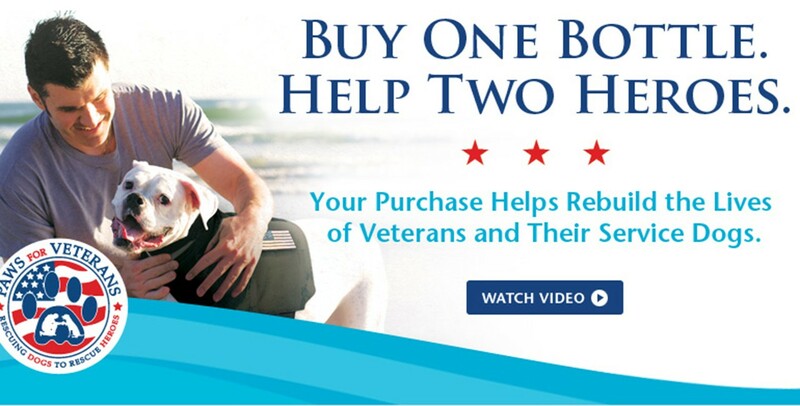 From October through December 2014, purchases of featured products will support monthly donations of Nordic Naturals omega-3s to veterans and their adopted service dogs, as well as a donation of funds toward a new training facility, for a total contribution of up to $30,000. Nordic Naturals has produced a short video that tells the story of Paws for Veterans and the people whose lives have been changed as a result of their transformative work. The video can be viewed online at nordicnaturals.com/pawsforveterans. Qualifying products include all bottle sizes of Baby’s DHA, Children’s DHA, Nordic Berries, Omega-3, Complete Omega, Ultimate Omega, Pet Cod Liver Oil, and Omega-3 Pet. Crystal Ayala, CEO and lead trainer for Paws for Veterans, describes their work as “life-saving,” noting that 22 veteran suicides are reported every day, and 1.2 million dogs are euthanized annually. Paws for Veterans rescues shelter dogs facing euthanasia. Can Vitamin D Work Without Magnesium?